The start of Fall sports is coming soon! 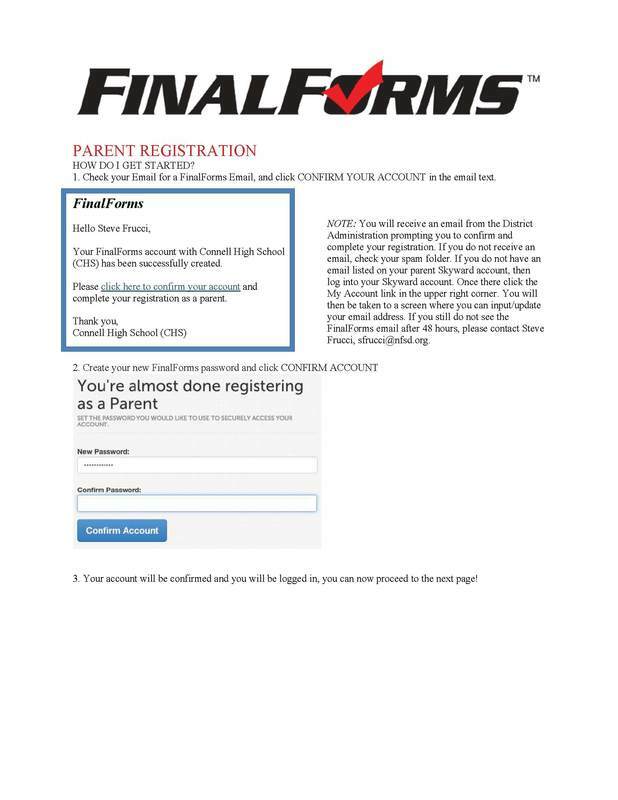 NFSD will be using a new program called FinalForms for parents to complete the athletic participation forms for OJH and CHS students. 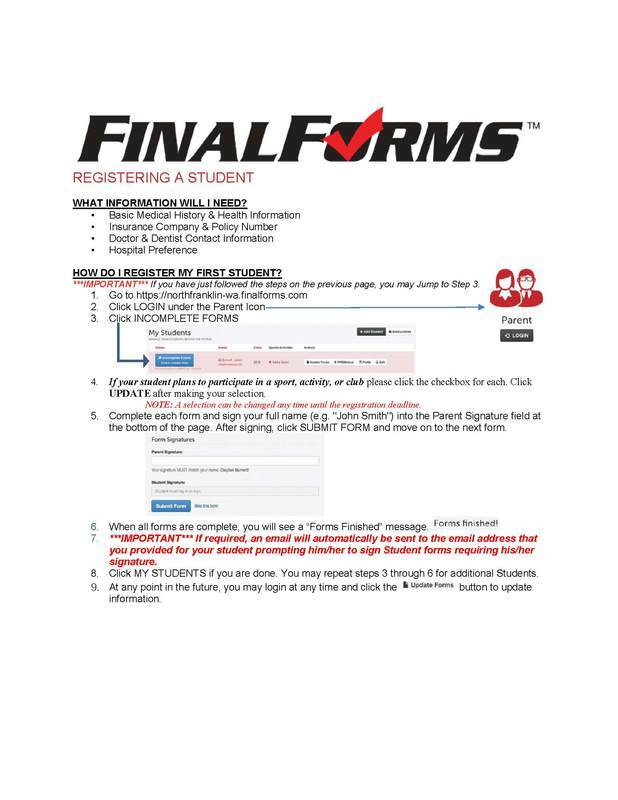 Please see the attached information on how to access FinalForms. 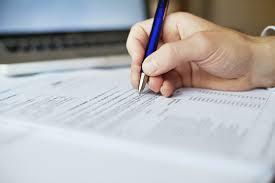 Remember that forms must be completed and physicals up to date before practices start. 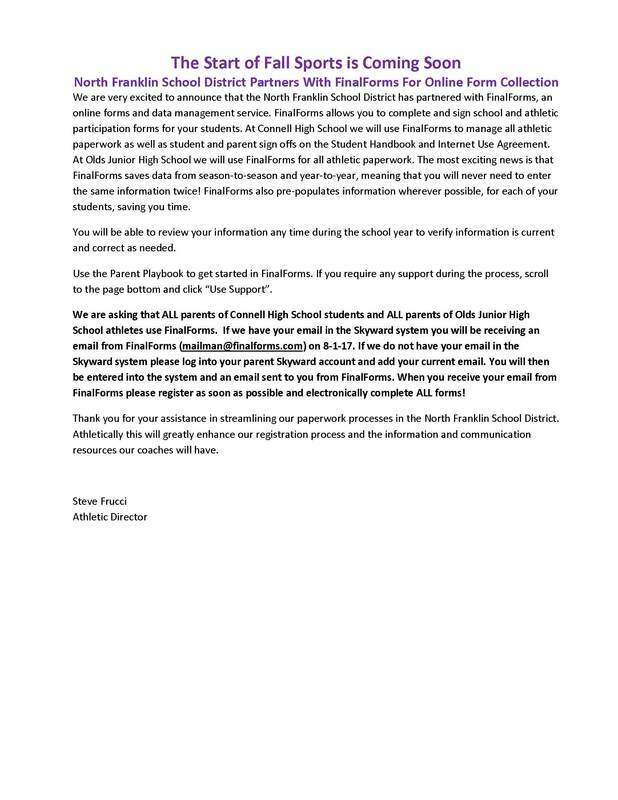 CHS football starts on August 16th and all other CHS Fall sports start on August 21st. OJH Fall sports start on August 28th.